Tropicana Beach Club returns in a very special summer, celebrating that the restaurant and its twin owners turn 30 years old. These guys, have grown at the same time as the restaurant, working and acquiring experience to end up being responsible for the Beach Club. 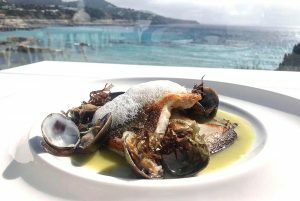 What started as a small restaurant in Cala Jondal, has evolved into a more complete and diversified place, both for residents and tourists, always maintaining its essence and identity: the commitment to fresh and local products and a friendly service. Its menu is a perfect balance between tradition and innovation, from the tastiest rice, fish, to the renewed breakfast menu. And of course, an impeccable selection of wines, signature cocktails and the most refreshing juices served at any time of the day.